Central to our approach is our philosophy which ensures that we fully understand the expectations and aspirations of our clients; we strive to provide the upmost level of service across all projects. We aim to deliver projects on budget and ahead of schedule without compromising our high standard of workmanship and attention to detail. At Crownstone Group, we work with residential and commercial clients to survey, plan and construct basements as well as working in drainage and damp prevention and protection. Whatever the work undertaken, we place our reputation and the happiness of our clients above all else. Our team adhere to our core values of fairness, humanity, excellence and collaboration in all that we do. Everything we do is to the highest possible standards, both in terms of quality and in terms of adhering to building regulations and British Standards. Every basement we work on and every damp and drainage issue we address is resolved and left robustly watertight – as you would hope it would be. OBS Basements have been trading in London for over 10 years. 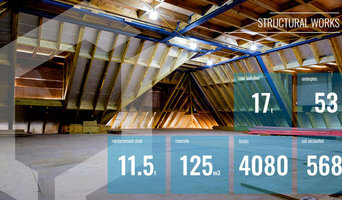 primarily a building company, we moved into basement conversions as demand increased. Since then we’ve carried out all types of basement conversion and pride ourselves on not only the quality of our work, but also the standard of our customer service. Have any type of major renovation on your property can be a stressful process, and we pull out all the stops to ensure your project is carried out in the most professional and convenient manner. Feel free to contact us with any questions regarding the full process. London Basement are the market leaders in basement conversion and basement construction, having been at the forefront of the industry for over 20 years and with over 1,000 basement conversions within London,, carried out to date, we have proved ourselves to be the leading basement specialist. 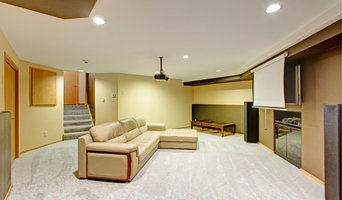 Indeed many of the techniques used for constructing basements at significant depths, including areas where ground water is prevalent or where complex engineering solutions are required, were pioneered by us, including basement construction below solid concrete floors. 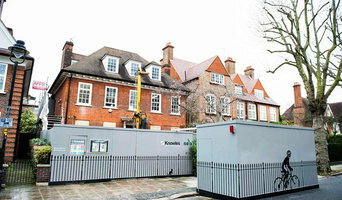 Today, Knowles designs and builds hundreds of basements in central London and the home counties every year and is considered a leading authority in basement construction. With an exceptional track record for delivering projects on time and in budget, Knowles offers the best value in this highly specialised field. Knowles operates a dependable, financially strong and leading London construction business which has been awarded ASUCplus membership. Knowles is the trusted partner for some of London’s most noteworthy architects and property developers. Premier Basements construct and excavate basements in residential properties in and around London. Based in Staines, we work from concept to construction with a team of over 100 focused on providing an unrivalled customer service using only the best materials. With our expertise we construct basements for a variety of uses including gyms, offices, swimming pools, extended living space and underground garages. We aim to redesign space to suit your budget and lifestyle offering an entirely in-house service; including lighting design to ensure a functional and elegant end result tailored to the needs and taste of our customers. Premier Basements has been featured in Channel 4’s Sarah Beeny show ‘Double your house for half the money’. 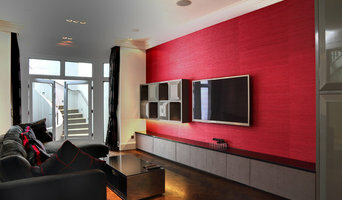 Basement Masters is one of London’s leading Basement specialist’s. We have been established since 2004 and have been involved with hundreds of basement construction projects in both new and retrofit basements. With our many years of experience and expertise, in both the design and the construction of basements. Our Team of dedicated construction professionals have acquired many industry qualifications, along with decades of experience specialising within the basement sector. These can be called upon to help deliver the most challenging of projects. We offer the perfect one stop shop for your proposed new basement. Our in house team can take care of all the requirements, which include, architectural design, structural and geotechnical engineering and design, construction of the reinforced concrete shell, structural steels works along with the waterproofing design and installation, right through to quality finishes in the fit out. Most properties can be converted and very careful consideration is given to ensure that your basement conversion is carried out to a high standard that will enhance and compliment your existing property. We pride ourselves in the production of imaginative and practical designs to both expand and enhance your living space. Whether your house is terraced, semi or detached or perhaps a ground floor flat we will be able to assist you. All Basement Masters basement conversions come with a 10 year Basement Masters insurance backed warranty. We are accredited members of a number of trade federations, i.e. Federation of Masters Builders, British Structural Waterproofing Association, Basement Waterproofing Association, Approved Delta Installers and many more. BasementWorks offers a comprehensive range of services for architects, interior designers and other specialists undertaking basement projects in London. We are delighted to take on the ‘structural only’ or ‘shell and core’ basement project (see (link to Shell & Core), but our ability to assist extends far beyond just structural basement construction. In the early stages we can offer feasibility advice and guidance on costs and engineering, helping develop a buildable scheme to your designs. We can deliver architectural services where they are not already available. Further more we have outstanding expertise in achieving challenging planning consents and CTMPs (Construction Traffic Management Plans) for basement conversions and would be very happy to provide advice to other professionals submitting for planning consents or conditions. Please see more on our Planning Service here. We take care of all CDM 2015 requirements, including those of Principle Designer if required, and provide all construction project management. Our experienced basement designers can help maximise the success of any fit-out designs particularly challenging in basement specifications including drainage plans, cabling ducting, staircases, lightwells etc. The Advantage Basement and Cellar Company was formed in 2000. 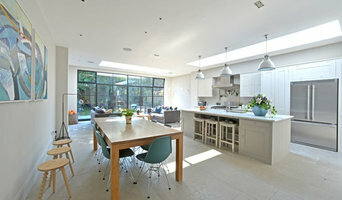 Both directors have 30 years building experience, and we specialise in all aspects of basement design and construction. We bring professionalism, construction creativity and over 30 years of experience to your project from your first consultation to the completed living space. Man And Van Hire Near Me will get you a man with a van to your door at the time you choose, and the driver can help you load, or if you don’t want to do anything, then more movers will be provided. All removals vans are GPS controlled, and everything is built into a single quote available instantly online, so you can compare the man and van prices we offer. Best-Pol is a Polish Economic&Quality Construction Company. FCM was set up in 2004, collaborating the extensive industry experience of its two directors. This winning combination has resulted in a unique and bespoke contracting service with expertise in design, planning, project management and build. With over 70 years project management experience, FCM recognise that by combining the talents of our personally vetted architects, engineers, service providers and suppliers, we can help you successfuly build your vision. What can a Biggin Hill, Kent basement designer or specialist basement construction contractor do for me? Your Biggin Hill, Kent basement designer will help to assess if a basement excavation or construction is feasible – both structurally and financially – as well as advising you on the cost of underpinning if required, ease of access and escape, basement waterproofing or tanking, damp proofing, safe heating options, the drainage system, your insulation requirements, electrical connections, and the most appropriate basement lighting options, as well as interior decoration. Basement builders and designers will also be able to tell you if the Party Wall Act applies and whether planning permission is required for basement conversion in Biggin Hill, Kent: if you live in a conservation area, you intend to carry out a basement excavation or create a new separate unit of accommodation, or you alter the external appearance of your home by adding a light well, then it is likely you will require planning authority sign off. Start by getting a your Biggin Hill, Kent basement builders or designers to assess the feasibility of a conversion or basement construction. Basement conversion, and basement excavation, is a highly specialised job and engaging specialist basement builders will ensure the job is completed safely with the least disruption to your neighbours and family. Always ask for an estimate on the basement conversion cost before beginning to make sure it’s feasible for you. You’ll also need to ensure before a project commences that you have all the required permissions and consents. If your basement construction requires the lowering of an existing basement floor to create more headroom, or building a brand new basement, then your basement designer’s first step will be to underpin the foundations for additional structural support. The basement will then need waterproofing by lining it with a studded membrane, then building a secondary wall inside the lining. A well-designed basement will blend seamlessly with the rest of your home but can also use clever tricks like creating an internal balcony or mezzanine level to help connect the spaces together. Creating sufficient light for your basement is a crucial concern and so many basement conversions in Biggin Hill, Kent will now be completed with additional excavations of surrounding land to create light wells or even a sunken terrace around the basement. Find basement builders and designers on Houzz. Get started now by searching for Biggin Hill, Kent basement excavation and construction specialists in the Find a Pro section of Houzz. Add your favourite basement images and basement conversions in Biggin Hill, Kent to your Ideabook and then contact the relevant designer or contractor who worked on them.